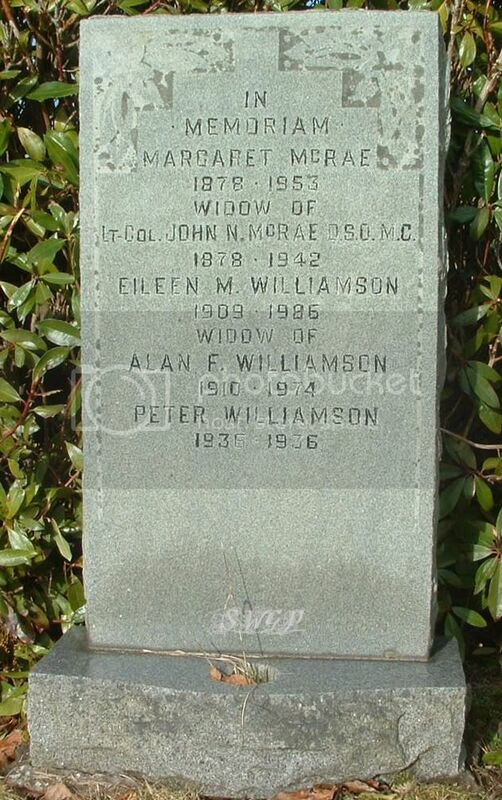 Additional information:	Son of George and Mary McMillan, of Claredon Place, Dumblane, Perthshire. Grave/Memorial Reference:	I. B. 12. 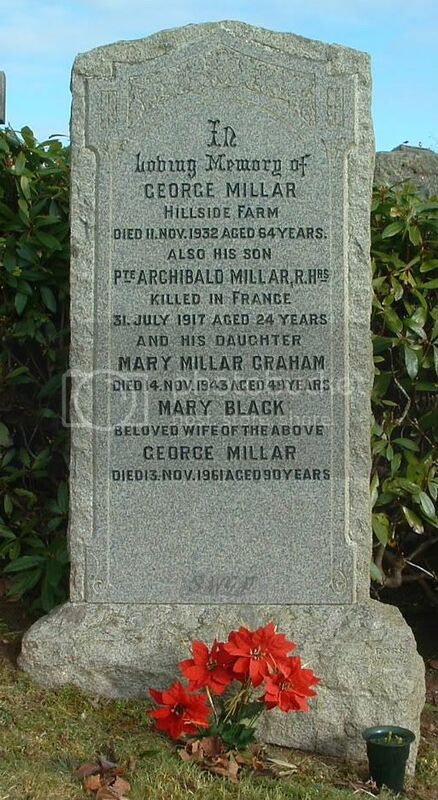 Additional information:	Son of George and Mary Millar (nee Black), of Glen Head Farm, Dunblane, Perthshire. 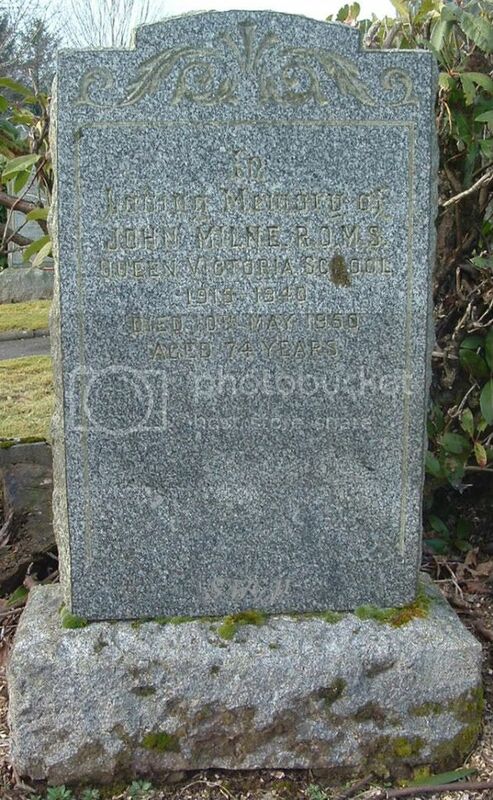 Additional information:	Son of George and Elizabeth Milne (nee McArthur), of Cliff Cottage, Ramoyle, Dunblane. Grave/Memorial Reference:	III. A. 29. 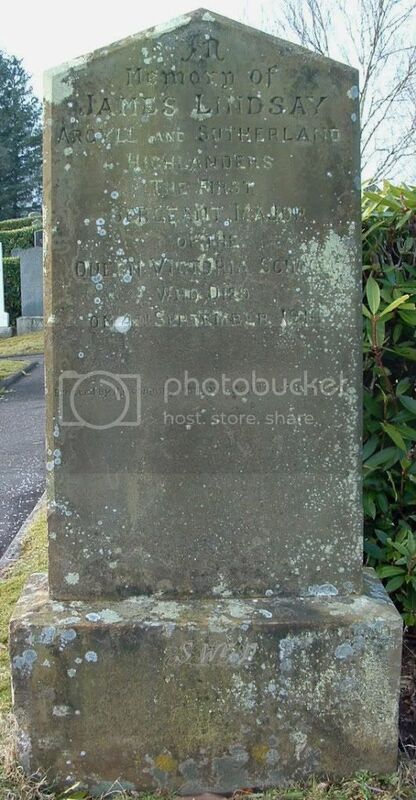 Additional information:	Son of John and Mary Nicoll, of 7, Springfield Terrace, Dunblane. Grave/Memorial Reference:	IV. C. 45. Grave/Memorial Reference:	P. IX. B. 2B. 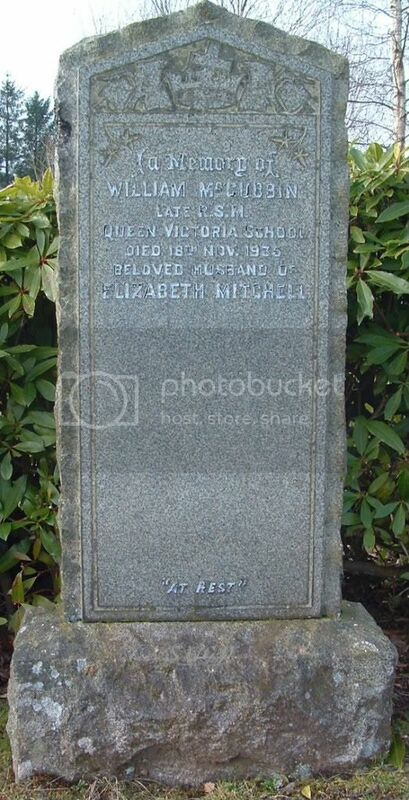 Additional information:	Son of James Simpson Willox and Ida Annabella Willox; husband of Ida Annabella Willox, of Scott St., Warracknabeal, Victoria, Australia. Grave/Memorial Reference:	XXXI. F. 15. 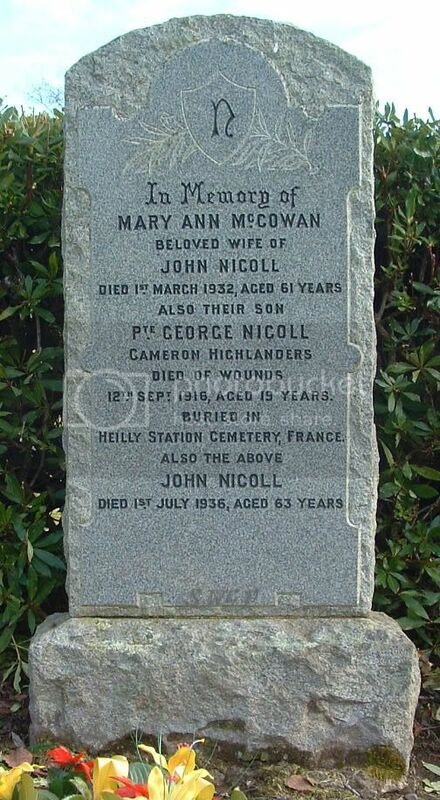 Note: CWGC appear to have the wrong parents. 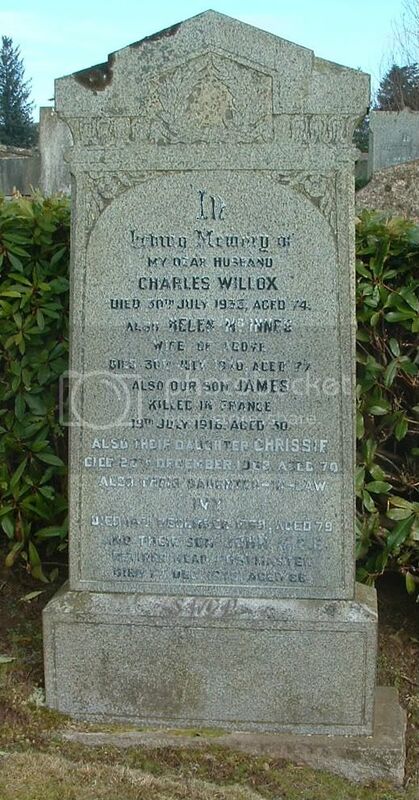 According to the inscription, James was the son of Charles and Helen Willox (nee McInnes). 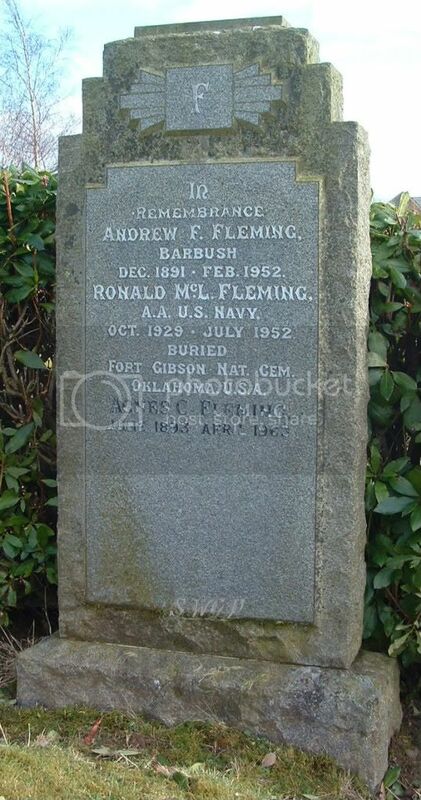 Buried Fort Gibson National Cemetery, Oklahoma, U.S.A.
Erected by H.M. Commissioner in recognition of Good Service. 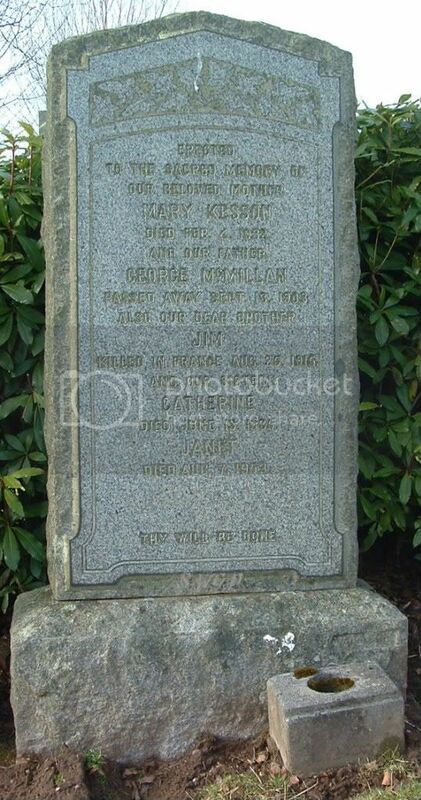 Died 10th May 1950 aged 74 years. 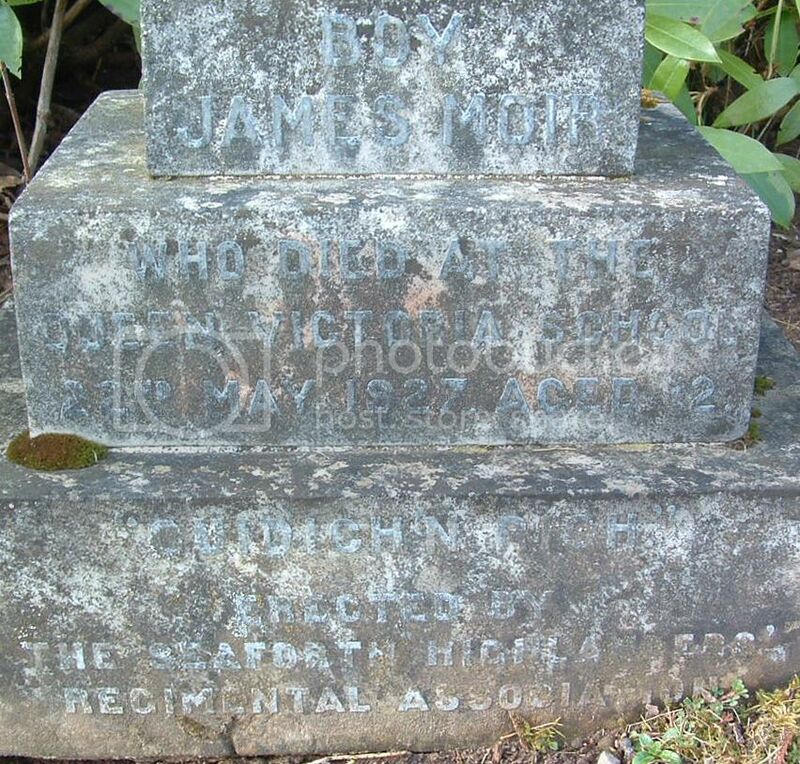 Boy JAMES MOIR who died at the Queen Victoria School, 2nd May 1927 aged 12 …….? 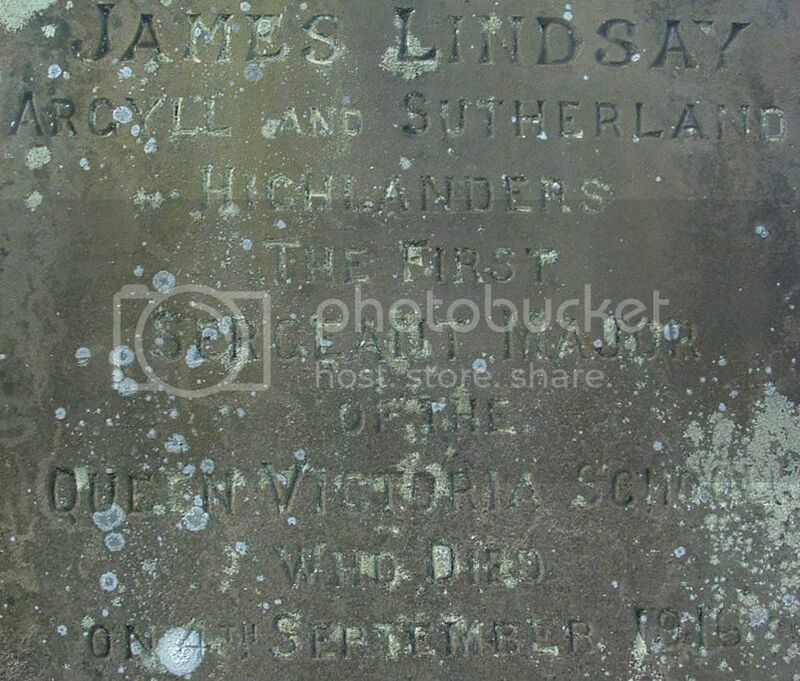 Erected by The Seaforth Highlanders’ Regimental Association. 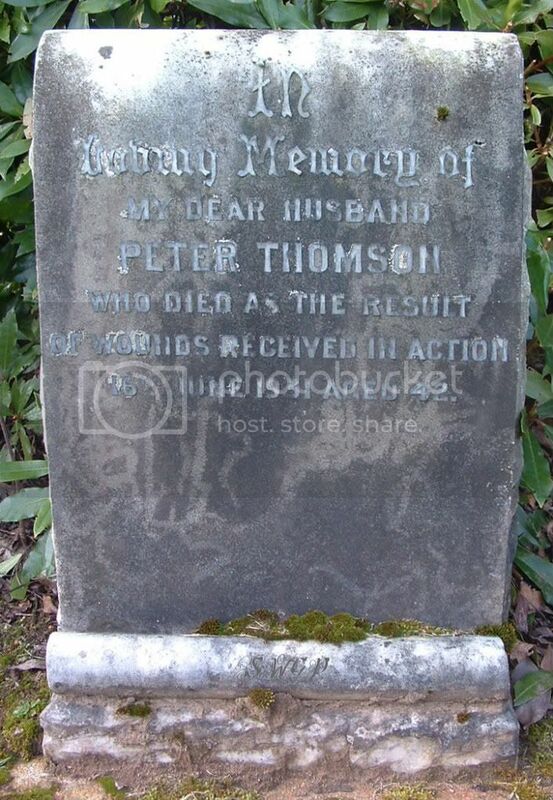 PETER THOMSON died as the result of wounds received in action 26th June 1931 aged 43. This may be John McKenzie. Correct name, Unit and date.